Poecilotheria regalis - INDIAN ORNAMENTAL TARANTULA, 4"
Home > STORE > INVERTEBRATES > Poecilotheria regalis - INDIAN ORNAMENTAL TARANTULA, 4"
Picture is of an adult, so you can see what they look like grown. *LIVE INVERTS WILL BE SHIPPED BY FED EX OVERNIGHT. 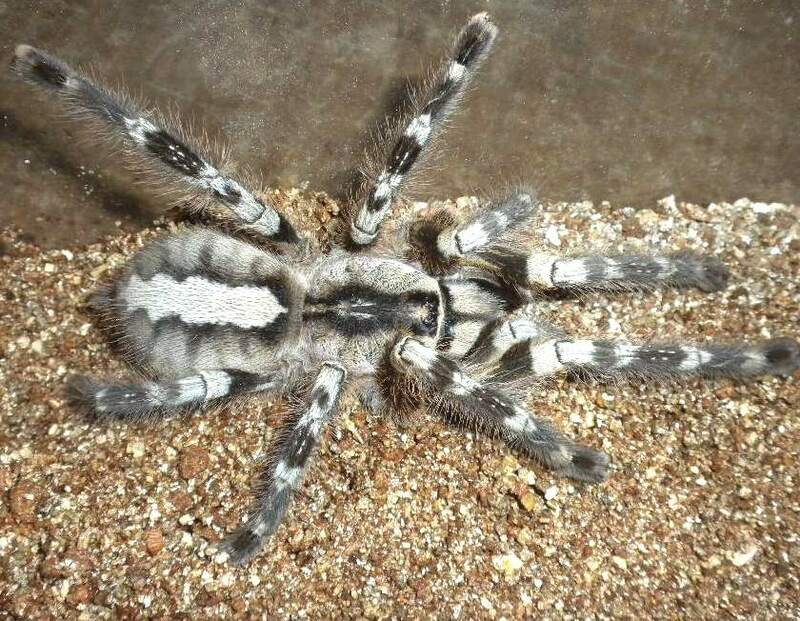 z OUT OF STOCK - Acanthoscurria geniculata - WHITE KNEE TARANTULA, 2"